David Huntsinger boeken voor uw volgende album of nummer? Neem contact op met Dennis (a) tccstudios.com. Credits : Kathy Troccoli, Phill Keagy, Vince Gill, Dolly Parton, Kirk Franklin, Amy Grant, Buddy Greene, Sandy Patti, Wynona Judd, Johnny Cash, Carman, CeCe Winans, Trace Adkins, James Newton Howard, Mickey Newbury, Ray Boltz, Floyd Cramer. 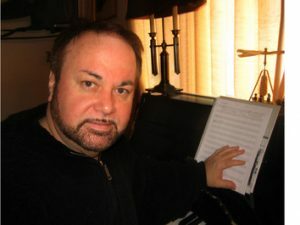 Over David Huntsinger : David Huntsinger is a pianist, composer, songwriter, and arranger who moved from his native California to Nashville, TN, in 1976 and played for the Rambos. He co-wrote the song, “Holy Spirit, Thou Art Welcome”, with Dottie Rambo, as well as the children’s musical, Down By The Creek Bank. In 1979 he left the Rambos to pursue a career as a studio pianist. He wrote and arranged music for the 1989 Grammy-winning album A Child’s Gift of Lullabies, and arranged for and co-produced Andy Griffith’s 1996 Grammy-winning album, I Love To Tell The Story: 25 Timeless Hymns. He has worked with many artists, such as Sandi Patti, Steve Green, Kathy Troccoli, Michael Crawford, Glen Campbell, Carman, Larnelle Harris, Johnny Cash and Dolly Parton. He toured with Vince Gill for a Christmas tour in 1999, and in 2001 for the Amy Grant/Vince Gill Christmas tour. He played the piano for An Unfinished Life, and contributed to two songs heard in The Great Debaters.He arranged for and played piano in the 1997 Christmas album Piano Winterlude (Unison). He has done several projects for Discovery House Music. In 2010 he composed a number of pieces for a special 25th Anniversary concert for the international television network 3ABN called Pillars of Our Faith.